Who doesn't love a cute little crossbody bag to carry on a shopping day? 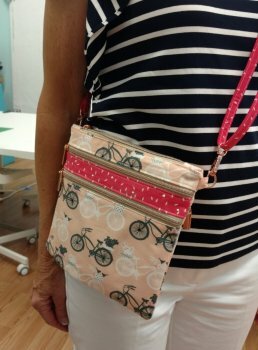 You can keep your hands free from toting a purse and still have your keys, glasses and money at your fingertips! 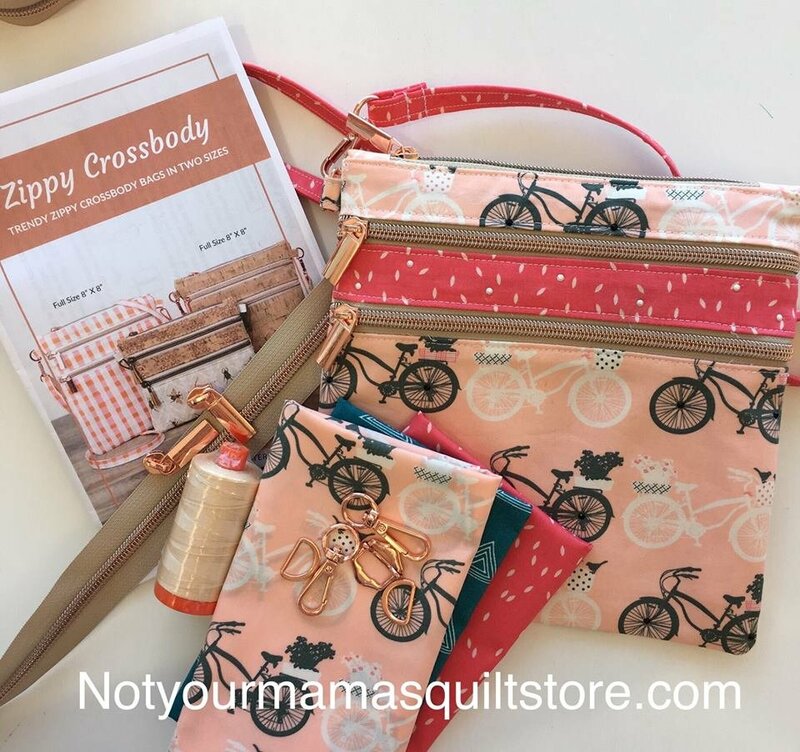 You will love this very fashionable Zippy Crossbody by Sallie Tomato with copper hardware!! Long Quilting Ruler, suggest 5" x 22" Olipfa (I have this available in the store) is a brand I like because it has a lip edge on one end to help your cutting stay straight. Please cut your fabrics and interfacings according to pattern instructions before coming to class.